Megiddo (Hebrew: מגידו‎; Arabic: المجیدو‎, Tell al-Mutesellim) is a tell or hill in northern Israel about 30km south-east of Haifa. 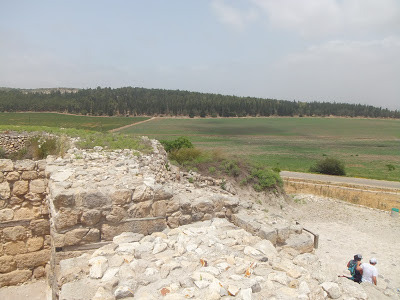 Megiddo is better known for its Greek name Armageddon. Megiddo is strategically located at the head of a pass through the Carmel Ridge overlooking the Jezreel Valley from the west. The pass is an important trade route connecting Egypt and northern regions of Syria, Assyria and Mesopotamia (sorry for the mixing the different time periods). Because of this it had been repeated destroyed and rebuilt. 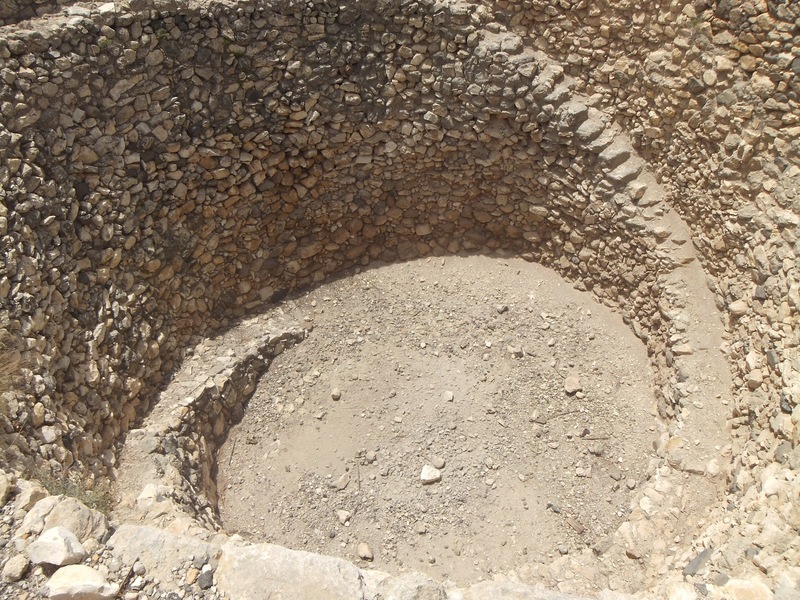 Excavations have revealed about 26 layers of ruins! It was probably inhabited from approximately 7000 BC to 586 BC (the same time as the destruction of the First Israelite Temple in Jerusalem by the Babylonians, and subsequent fall of Israelite rule and exile). Since this time it has remained uninhabited. 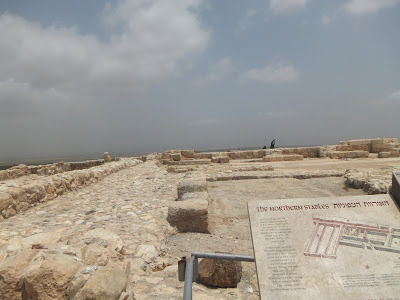 Megiddo is mentioned twelve times in the Old Testament, ten times in reference to the ancient city of Megiddo, and twice with reference to "the plain of Megiddo", most probably simply meaning "the plain next to the city." The Bible lists the king of Megiddo among the Canaanite rulers defeated by Joshua in his conquest of the land (Joshua 12:7, 12:21). 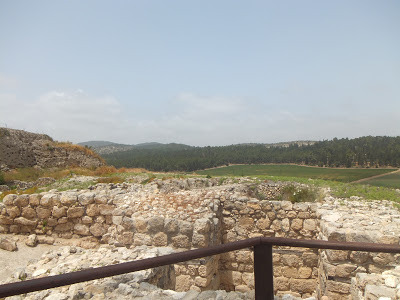 The city of Megiddo was allotted to the tribe of Manasseh (Joshua 17:11; 1 Chronicles 7:29). Deborah and Barak led the Israelites to victory over the Canaanite armies of Sisera by "the waters of Megiddo" (Judges 5:19-20). 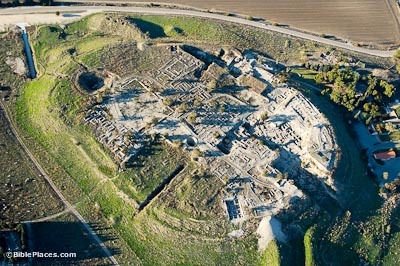 Solomon made Megiddo one of his district capitals as well as one of his three main fortress cities (I Kings 4:12; 9:15). 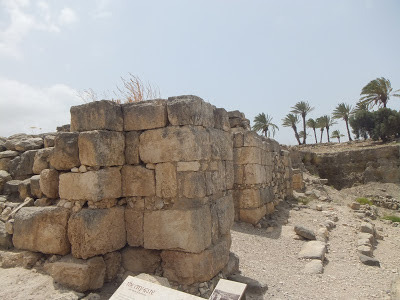 According to I Kings (9:15), King Solomon built Megiddo together with Hazor and Gezer. At that time the city had become the center of a royal province of the United Monarchy. There were many famous battles fought there. 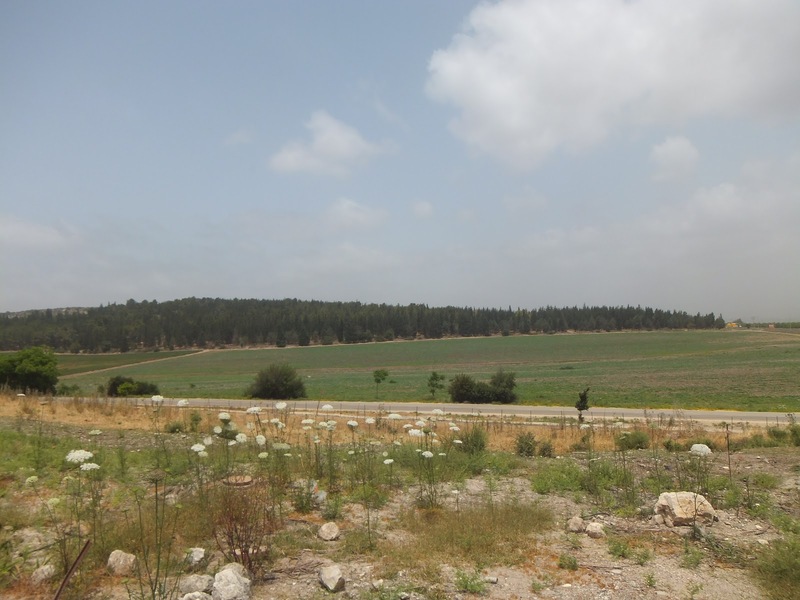 In 906 BCE, a battle was fought here between Egypt and the Kingdom of Judah. King Josiah of Judah died in battle near Megiddo when he tried to sabotage Pharaoh Necho's attempt to succor the Assyrians at the Battle of Carchemish (2 Kings 23:29-30; 2 Chronicles 35:20-24). The word "Armageddon" appears only once in the Greek New Testament, in Revelation 16:16. REV 16:16 Then they gathered the kings together to the place that in Hebrew is called Armageddon. The word may come from Hebrew har məgiddô (הר מגידו), meaning "Mountain of Megiddo". 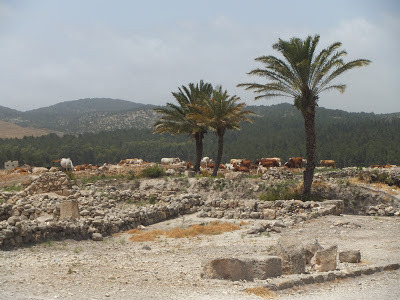 "Mount" Megiddo is not actually a mountain, but a mount (a hill created by many generations of people living and rebuilding on the same spot). According to one premillennial Christian interpretation, the Messiah will return to earth and defeat the Antichrist (the "beast") and Satan the Devil in the Battle of Armageddon. 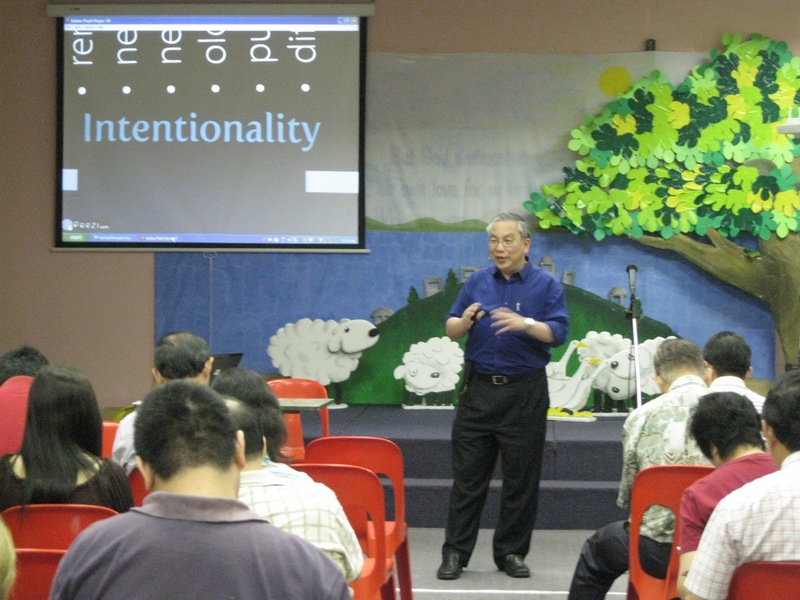 Then Satan will be put into the "bottomless pit" or abyss for 1,000 years, known as the Millennium. This may be the Solomonic gateway. King Solomon built many fortified cities in ancient Israel. Some are for chariots while others are for storage of grains. Initially, most scholars think that Tel Megiddo is a chariot city because of its stables. However the discovery of grain storage facilities are forcing them to rethink their classification.